2.1 How Do These Products Work & Help? 4 Can You Relieve Back Pain at Home? If you were suddenly hit by lower back pain, don’t worry, you’re not the only one. About 80% of adults have to deal with it. Besides the fact that it hurts, sometimes it can also cause job disability or affect any other activity you might be doing. Whether you’re just getting older or you lifted something heavy, it’s definitely a pain you wouldn’t want to experience. However, did you know that lower back pain can also be caused by a sedentary lifestyle? Usually, when you’re barely getting exercise but then you have an intense weekend workout, it can just lay the ground for lower back pain, thus making you suffer. However, it isn’t something that cannot be solved on its own with some self-care. Unless you were badly injured and the pain causes tingling in your legs and weakness, the pain can be relieved without calling the doctor. In this guide, we will talk about some lower back pain relief products that may prove to be necessary parts of your daily life. If you suffer from lower back pain, it’s essential to have something that makes you feel better, which is why we did the research for you. Therefore, if you want to get back to living a happy life, you will be really thankful for the information given to you throughout this article. Size : 84 x 29 x 86"
Size : 13.5 x 12 x 4.2"
Size : 6 x 5 x 4"
Size : 9.8 x 7.9 x 6.3"
Size : 13 x 13 x 4.5"
Size : 9 x 7 x 15"
An inversion table can be really helpful in situations when lower back pain won’t leave you alone. This Teeter EP-960 comes as a very easy to assemble and use model that will make you wave goodbye to your pain in the long-run. Although the price may put you off at first, it’s an item that is surely worth the money. 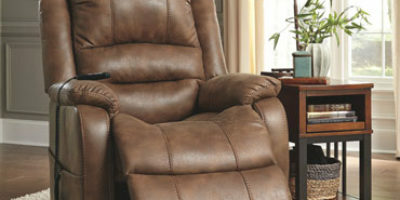 Besides the benefits previously mentioned, it is also very comfortable and offers amazing support. Basically, it has patented wrap-around ankle-cups for ergonomic fit, as well as contoured bed flexes for comfort. It allows you to precisely rotate so you have total control, and it’s easily done with simple arm movements, which make it easy for any user to shift down their body weight. After you’re done, you can invert and return to the upright position with no effort. You won’t regret purchasing it, as it will help a lot even if you use it just a few minutes every day. You will see that it will effectively relieve your pain by reducing tension, building core strength, providing decompression, and many others. When the back pain is giving you a hard time and makes it difficult for you to go on with your life, this back pain relief treatment comes as your savior. This SOLIDBACK product promises to offer you quick relief for your pain and let you go on with your daily activities. After all, you don’t want something that only gives you a temporary effect, do you? The item is made of high-quality EVA foam that is not only soft to the touch but also hard enough that it doesn’t crush down under weight. 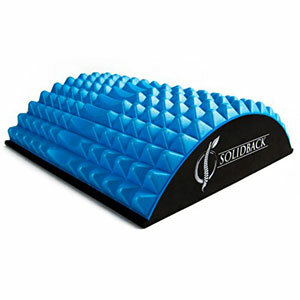 It has a spiky arc-shaped design that is very effective in reaching deep and stretching upper and lower back muscles. This helps a lot with lower back pain. With a rating of 4.3 out of 5 stars on Amazon, many people were happy with the effects and declared they didn’t regret spending the money. It’s pocket-friendly while providing comfort to those who need it, so you’ll surely enjoy it if you suffer from lower back pain. 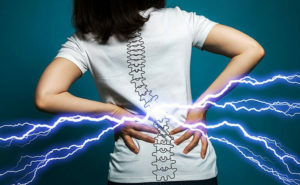 Are your back pains too much to handle, and you need something that will help you get rid of them? 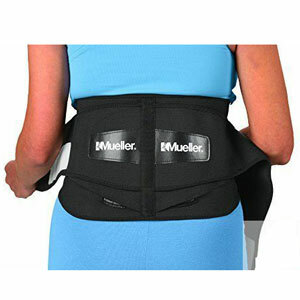 This Mueller Lumbar Support Back Brace may come as the solution you need. With a friendly price and 4.4 stars rating on Amazon, the back brace could let you go on with your daily life, providing plenty of comfort. It fits waist sizes 28” – 50” (71 – 127 cm), and comes with adjustable back support with lumber pad. Before purchasing one of these, it’s indicated to consult with your medical professional. Still, overall, it’s a product that provides relief from strenuous activity and injuries while keeping you active. It will sit nicely between your hips and the rib cage, keeping you upright. Thus, you will not feel the pain as intensely as you normally would. Therefore, if you’re looking for amazing back support to get rid of your struggles, spending some money on this particular back brace is a great decision. Some people are unable to sleep at night without knee pillows between their legs to keep their hips in the right position. If you happen to be one of those people, the ComfiLife orthopedic knee pillow might be just what you need. Not only that it’s really comfortable, but it also supports the leg that you put on top when you sleep on your side. Made of high-density memory foam, the pillow is very durable, but it also offers you comfort for many hours. The ergonomic design helps in keeping your legs, spine, and hips in the right alignment while improving circulation. Another advantage you will get with this pillow is the fact that it’s easy to clean. Also, the cover is breathable and ensures that the pillow doesn’t get warm. It has a very good rating on Amazon, respectively 4.5 stars, and considering how many people were happy with the results, you will surely not regret buying it. 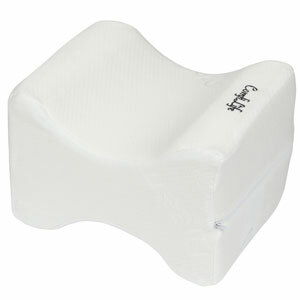 Lower back pain is such a drag, but with this memory foam lumbar support back cushion, it will become less of a hassle. Having said that, you will be happy to know that this cushion can support your back’s curve in order to achieve the perfect spinal alignment. Therefore, you will have a healthy posture that will help relieve lower back pain and let you finish your activities. Moreover, it comes with two adjustable straps that help keep the back-support cushion in place, thus preventing the lumbar pillow from sliding down. As such, it fits amazingly on computer chairs, sofas, car seats, wheelchairs, office chairs, and the list can go on. The 3D mesh it has is breathable and washable, and it also lets air circulate in order to prevent sweat and moisture from filling it up. So, you will feel cool and comfortable the entire day, while you get long-lasting relief for your lower back pain. 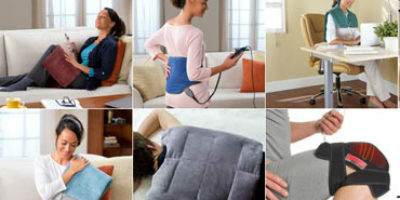 Do you want an item that makes you feel comfortable while providing relief for your lower back pain? Then you shouldn’t miss this back and neck pain relief from Nayoya. After using it for only 20 minutes every day, it will give you immediate pain relief in the comfort of your own home. The product is amazing as it eliminates the need to use any type of expensive treatment, including visits to the masseuse, therapist or chiropractor. Furthermore, it is great at improving your sleep, circulation, and mood, besides boosting your energy levels. It helps you relax while relieving any tension and pain felt not only in the lower back area but also in your neck. Many buyers are happy with the results this product offered them, which is why it has a 4.3-star rating on Amazon. This unit has a 4.3 out of 5 stars rating on Amazon, and people were very pleased by what it has to offer. The device may not be too pricey, and this might seem a little weird, but it’s actually very helpful in easing your lower back pain while activating the circulation and easing tiredness. It was created by professionals using bionic technology, body simulation technology, intelligent microcomputer control technology and bio-electric technology. 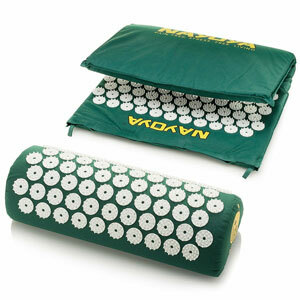 These are meant to deeply penetrate the muscles, thus helping in the process of getting rid of the pain. The item has 16 pre-programmed modes, so you can choose anything you want from acupuncture, kneading, knocking, vibration, feet and many others, depending on your needs. In addition, you can adjust the default times between 10-60 minutes intervals with 20 additional levels of intensity. Furthermore, it has an automatic shut off mechanism, so it turns itself off when not in use. 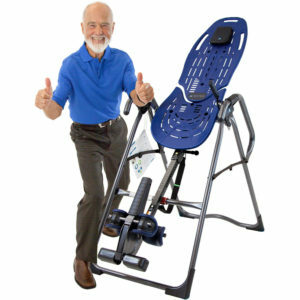 If you want something that will efficiently get rid of your lower back pain, do not hesitate to purchase this product. Looking for back pain relief products is quite difficult, as there are many types of products that could be helpful, but they have different features. From pillows to stretchers, handheld back massagers, TENS units, inversion tables, massage cushions and more, they all work differently while having one goal – to help you get rid of the pain. How Do These Products Work & Help? These products work by allowing your back to sit in the right position. Thus, they relieve the tension and pain that you feel due to strain or not sitting properly. However, it’s hard to know what to consider when buying any type of back pain relief product. Therefore, we did the research for you, so that you’ll be able to know what really matters when you’re out browsing for any of these items. 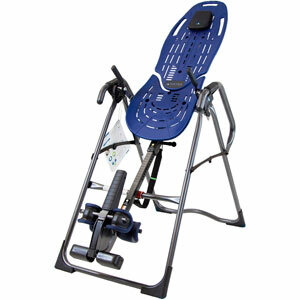 Stability is really important when it comes to inversion tables, considering this equipment sits on the floor. It should be safe enough and have non-skid stabilizers on the legs or across the bottom of the base. Considering safety comes first, it only makes sense that you’d want a product that doesn’t pose any danger to you. Look at the construction features, ease of use and materials, as well as ease of assembly. Ensure the unit has everything that’s needed to be safe. Not every back pain relief table is designed to match and support the body, sadly. That being said, pricier models are the ones usually having an ergonomic design; this means the cheaper ones won’t provide the same comfort. The cheaper ones are usually made of plastic or PVC. You don’t want to spend ages until you assemble the unit, let alone waste your time trying to figure out how to use it. Therefore, you’d want something that assembles quickly and without too much effort and has clear instructions on how to use it. No matter the size of the apartment you live in, you should consider an inversion table that is easy to fold and that can be stored anywhere without taking too much space. Inversion tables should be capable of handling your height and weight, so make sure the one you purchase is not too short or lightweight. If you don’t take this into consideration, you might end up injuring yourself, thus harming your back than relieving any pain. Always check the dimensions of the table, as well as the item description. Not all tables can invert at all angles. So, first of all, you should talk to your doctor or chiropractor to find out your inversion limits. Afterward, you can choose a table that can invert just how you need it. The size of the pillow is very important as it can help people with different needs. For example, a queen-sized pillow is best for people who toss and turn a lot, whereas a body pillow is suitable for side sleepers and pregnant women. Depending on your problem, the size of the pillow is essential. Pillows come in many sizes and shapes, but there are two categories that they generally fall into: curved or even. 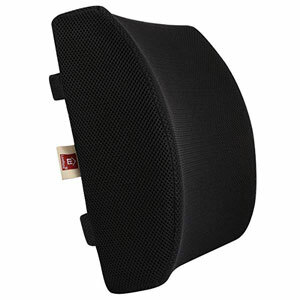 Curved ones are usually made from foam and have a contoured surface, and they raise the neck. This can provide amazing support for people who deal with a lot of pain, as it helps them sleep in a proper position. Pillows can have a wide range of fill materials, and each one has specific pros and cons. They can either be filled with feathers, polyester, buckwheat, memory foam, down alternative and many others. Generally, pillows filled with memory foam and feathers are really suitable for those suffering from back pain. They are adjustable, lightweight, and provide great back support. Back braces come in many sizes, and not every item may fit your body. Having said that, the brace doesn’t have to be too small or too big. You can only determine the proper brace by trying it out while standing in a natural upright position. The perfect brace must cover your lower back and tail bone. Your body is compressed while wearing braces, which is why they are so helpful in allowing you to maintain a healthy position that relieves pain. However, you need to make sure that the compression is distributed in a way that isn’t harmful for your body. If you want to go on with your daily activities, you need to feel comfortable enough. Thus, a comfortable back brace must have padding, adjustable straps, and proper build material to let you feel good. Also, you need to wear it for a while to determine the comfort level, so make sure you consider all of these when purchasing a back brace. Once every while, you have to lift heavy objects, an activity that requires a lot of power and effort. However, despite your strength, you can still end up with lower back injured if you don’t lift the object the right way, and it will result in you having to suffer for a while. As such, you need to know the proper way to lift heavy items. For example, you need to keep the weight close to the body, because if it’s too far, it requires more force to hold it up. If you try to lift a heavy bag, it would be much easier to hold it close to your chest than stretched out in front at arm’s reach. The object gets heavier the farther it is from your body. Make sure you keep your chest forward too, and you bend at the hips, not at the back. While you may think that bending the knees will let you lift safely, it may end with a back injury. Therefore, make sure you bend the hips and keep the upper body upright pointing forward. If you want to provide support for the lower back to avoid injury when lifting, you can exercise. Low-impact cardiovascular exercise is good at increasing the blood flow to the spine. This is beneficial in supplying healing nutrients and hydration to your lower back’s structure. Still, in case the idea of exercising isn’t appealing to you, you can start by making small goals that get you to move. It can be something as simple as going up and down your stairs 3 times in a row. Remember the times your mother would tell you to sit straight, or your back will get deformed? Now you’d be thankful for that, especially if you find out that sitting in an improper position can give you back pains. This is why you should also have a chair that supports your back or has low-back support to prevent you from having a bad posture. When seated, you should ensure that you keep your knees higher than your hips. The feet can be propped on a stool if needed, and if you must sit for too long, you should keep your head up, and your stomach pulled in. If you maintain the right position every time you sit, you will be much happier, as lower back pains won’t be an issue anymore. At one point in your life, you might gain some extra pounds, which doesn’t only lower your self-esteem, but it can also make back pain worse. Basically, some extra pounds in your midsection will shift your center of gravity by putting a strain on your lower back. If you want to avoid this problem, you have to maintain your ideal weight. Staying within 10 pounds of your ideal weight may help you control the back pain. This can be done with proper nutrition and exercise. Arthritis is one of the things that affect your lower back and lead to you being unable to keep going with your daily activities. There are cases when it can end up in a narrowing of the space around your spinal cord, and this condition is called spinal stenosis. If you’re constantly lifting heavy objects or you just suddenly move in an awkward way, this can injure your spinal ligaments or muscles. That being said, lifting heavy things can really end up badly if you’re not careful. Also, if your physical condition is not the best, constant strain on your back can cause very painful muscle spasms. Some people’s bones don’t grow properly, which results in skeletal irregularities. For example, one known condition is scoliosis, condition in which your spine curves to the side. Although you may not feel anything now, the pain might crawl once you’re getting older. It’s probably no secret that once you get older, your body doesn’t feel like it used to. Back pain might be a sign that age is playing tricks on you. It usually starts happening around the age of 30 or 40. If you’re a pregnant woman, the hormonal changes in combination with the differences in pelvic structure may lead to back pain. Considering there’s a lot of pressure on your back due to the pregnancy, it’s not unusual to experience lower back pains during this period. Not everybody has the time or mood to start exercising, and whereas it’s not always your fault, it can take its toll on your back. If you don’t exercise, it may lead to a lack of flexibility in your body, which causes back pain. Furthermore, not exercising might make you gain weight, which puts a strain on the body. Can You Relieve Back Pain at Home? Studies have shown that hot and cold compresses can relieve pain. You’ve probably heard about people applying ice packs on an injury to relieve the intense pain. Usually, ice packs are wrapped in a towel to reduce inflammation and get rid of the painful sensation. In addition, cold compresses may provide some numbing effect in case of sudden intense back pain. Applying it for a few minutes at a time can help a lot. However, make sure the ice or frozen vegetables are always covered with a cloth, so you don’t end up having to deal with frostbite. Conversely, heating pads can be just as effective in relieving your pain. They can ease achy or stiff muscles. If you don’t have a heating pad at hand, a hot water bottle may do the trick. Exercising is not only good in relieving your back pain, but it’s healthy for your whole body. It helps loosen tense muscles and release endorphins, which are the natural painkillers of the brain. Exercising is effective in alleviating back pain and can prevent future back pain episodes that occur because of tight muscles. Who doesn’t love a good massage? Besides the fact that it helps you relax a lot, it’s also effective in getting rid of the pain causing you so much trouble. When a sore or tense muscle is massaged, it helps loosen it up, thus relieving the pain. In addition, a massage for the lower back pain reduces the need for anti-inflammatory medications, improves the back function, and can minimize the days spent in bed. There are many remedies that help relieve the pain. For instance, you’ve probably seen creams that desensitize the pain channels in affected areas. Just like you’d take pills or other oral medications to get rid of other types of pain, topical treatments can be just as helpful. They can be creams, gels, patches, and the list can go on. The ingredients found in creams, such as ibuprofen, ketoprofen, capsaicin, lidocaine, diclofenac, and many others are effective in relieving lower back pain. For more information, read our detailed massage oils buying guide. Check out the home remedies to relieve back pain. $$ 13.5 x 12 x 4.2"
What Should I Do when I Experience Back Pain? There are many things that can help you get rid of the pain, and some methods may be more helpful compared to others. Most of the time, back pain goes away without having to visit the doctor. Using back pain relief products such as pillows, inversion tables and more will the Pain Return? Depending on the source of the pain, it might return every now and then, especially if you don’t take preventive measures. For example, you may suffer from chronic pain and, in this case, you must visit a doctor to do some tests and prescribe you a more powerful treatment. Also, if you took pain-relieving injections, you should know that their effect may only last for about three months. Are there Situations When It’s Necessary to See a Doctor? If you have back pain that lasts for more than six weeks without any improvement in your situation, it’s advisable to see a doctor. Not doing so might actually make the situation worse. Moreover, if you’ve reached 50 years old and it’s your first time experiencing back pain, you should see a doctor, as you might have osteoporosis or another complication. Lower back pain is not fun, especially when it affects your ability to work or just go on with your daily routine. When it becomes so bad that it affects your movements, it’s important to know what to do to to get rid of it and prevent it from coming back. This guide was packed with information on what to do to prevent lower back pain, and it also featured some common causes and symptoms you may experience. Understanding back pain is a prime step towards getting rid of it. In addition, you’ve been presented some lower back pain relief products that have helped others go back to living a normal life. Hopefully, the information in this article was helpful and will let you live happily without having to deal with intense back pain again. If you decide to purchase one of the products in the reviews section, make sure you do your research properly, so that you get an item fit for your needs.